Underwater Prologue is a video installation and performance that continues the artists investigation of imaginative relationships with the sea and conspiracy theories referenced in literature. Investigations include the aquatic ape theory, HP Lovecraft, Cthulhu Mythos, and Galápagos by Kurt Vonnegut. Underwater Prologue is a collaboration between artists Liz Ferrer, Jen Clay, Kalan Sherrard, Ron Shalom and Poncili Creation created for the ICA Miami space for the Site Specific series for Miami Design District. 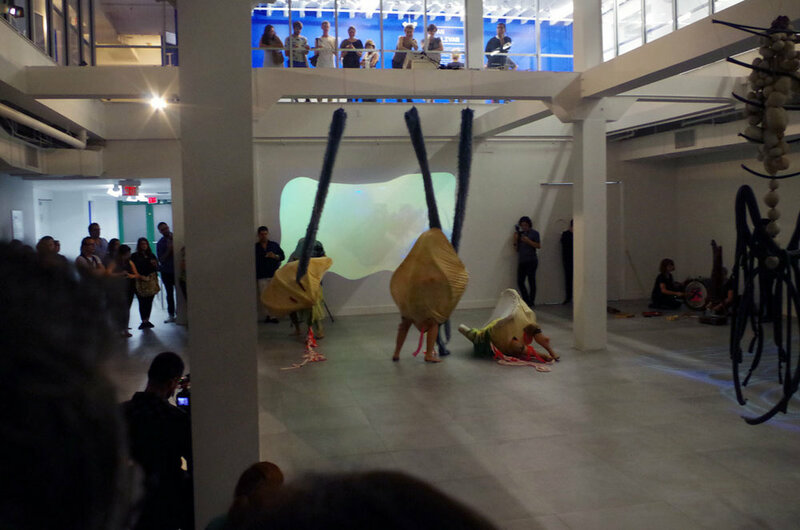 This work was a preface to the Underwater Opera at Miami Light Project that premiered May 2015.